We offer a wide range of High Pressure Intensifier which can be used to achieve pulsating output pressure. 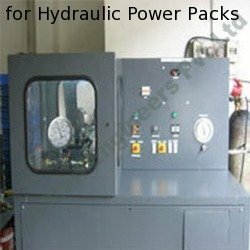 Capable of handling electric load of 5 HP, our range is fabricated using top quality raw material. We manufacture a wide assortment of precision engineered High Pressure Intensifier using superior quality raw material. In this Hydro-pneumatic Booster the output pressure is Pneumatic and boosting pressure is hydraulic. The same Test Equipment can be use to achieve pulsating output pressure. These can be customized as per the specific requirements of our clients. Looking for High Pressure Intensifier ?